Had an amazing time photographing with these two. With Brandon's lightheartedness and Christina's edginess, the two melded together to create really adorable moments. We started at the Bushwick Collective in Brooklyn, New York City, since they wanted to encapsulate a more industrial and edgy feel to represent their personalities. Afterwards we ended up at the East River Park for a sunset and a softer look. 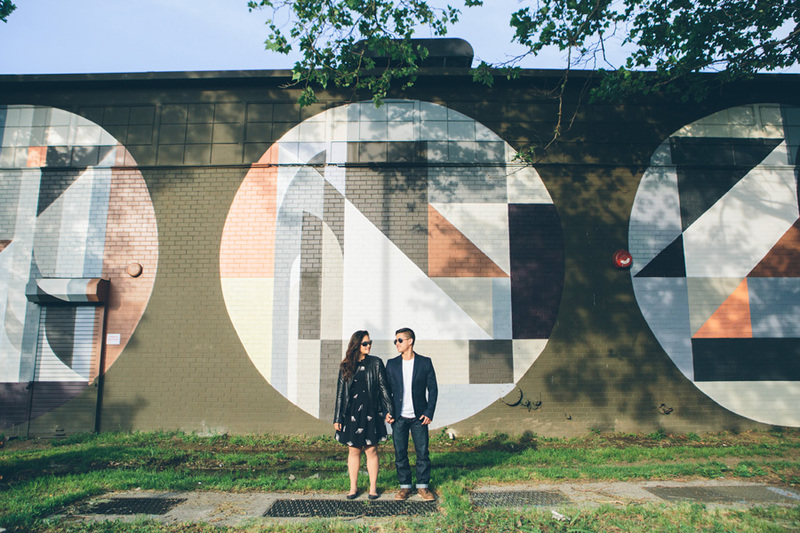 It's not easy being models in an engagement session, but I was really happy to see such amazing shots come to fruition with them. 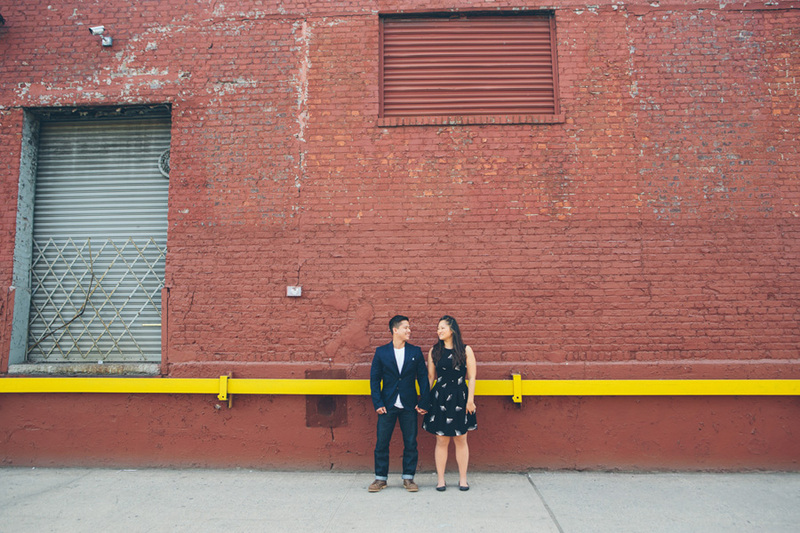 They are going to be getting married at Dumbo Loft, an amazing venue in Brooklyn- I can’t wait for their urban chic New York City Wedding in a few months! PS: Brandon used to be a child model in his early years- which made things much easier for me, haha!